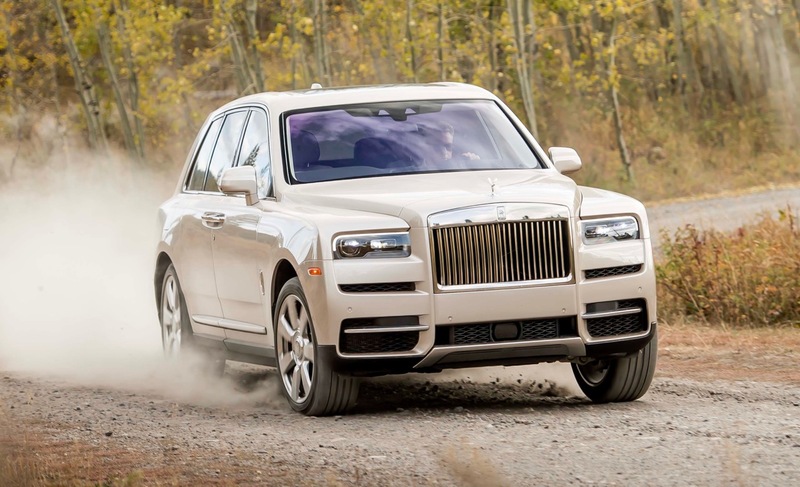 ROLLS-ROYCE CULLINAN: DIAMOND IN THE ROUGH! 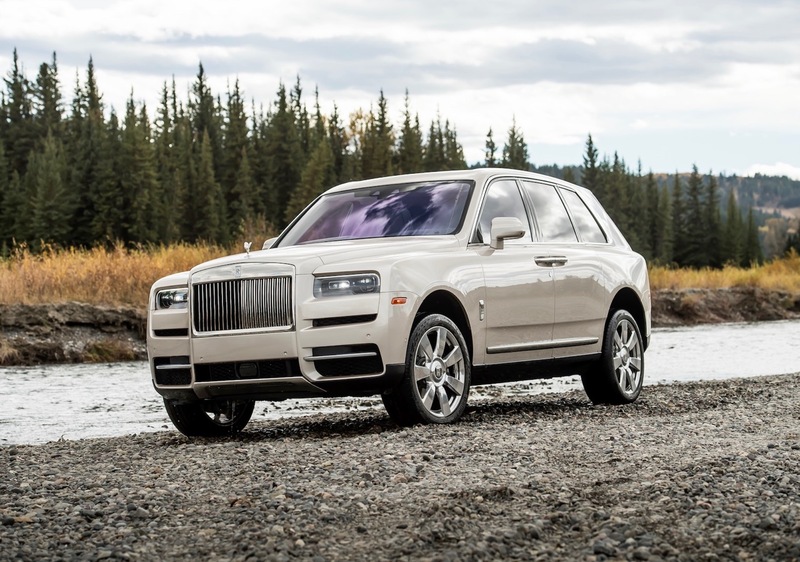 The all-new, ultra-luxe Rolls-Royce Cullinan SUV will take you off the beaten path in real style, blogs Road Test Editor Howard Walker. Eleanor is leading the way. Head forward, gossamer wings outstretched, that iconic Spirit of Ecstasy hood ornament providing the perfect sight-line as we claw our way up Snow King Mountain. Considering her surroundings, maybe Ms. Eleanor should have traded the flowing gossamer for a Patagonia puffy jacket and a pair of Merrell hiking boots! This is surreal. Right now I’m piloting a $325,000 Rolls-Royce up the 7,800-foot high Snow King ski mountain in Jackson Hole, Wyoming, rocks and gravel crunching under 22-inch rubber, that mile-long hood tilting skywards towards Venus. Why? 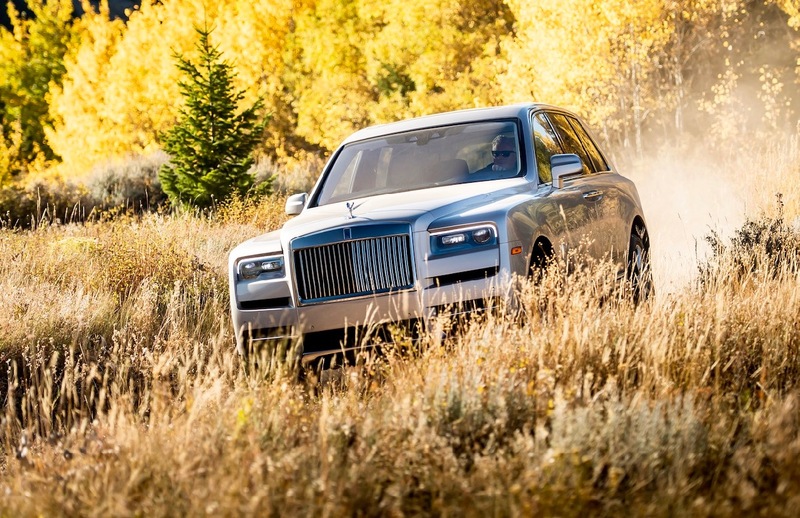 Because the folks at Rolls-Royce are keen to demonstrate that their brand new Cullinan SUV, the first ever Rolls-Royce 4×4, has serious off-road chops. And from where I’m sitting, luxuriating in gorgeous, water-impervious, box-grain leather, they’ve done a spectacular job. Because the Rolls-Royce mantra with Cullinan is “Effortlessly Everywhere”, this incredible hulk, all three tons of it, goes off the beaten track with the same kind of panache as it cruises the highway. 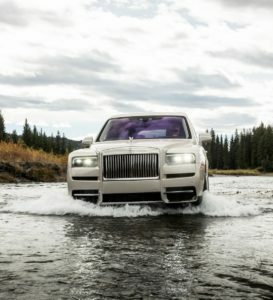 At the press of a single button, the Cullinan will rise-up on its self-leveling air suspension, soften the throttle response of the big V12, and work out whether it’s dealing with mud or snow, wet grass, or in this case, loose gravel and rocks. Then just get on with it. In the mile-and-a-half climb to the Snow King summit, using the oh-so-narrow, rock-strewn service trail, the Cullinan displays all the sure-footedness of Michael Jackson doing the Moonwalk, clawing its way to the top without putting a tire out of place. Later in the day, hammering along rutted, gravel forest roads, splashing through streams, and crunching through early-season frost and snow, I’m slack-jawed at the SUV’s magic carpet-like, cruising-on-a-fluffy-cloud, ride. 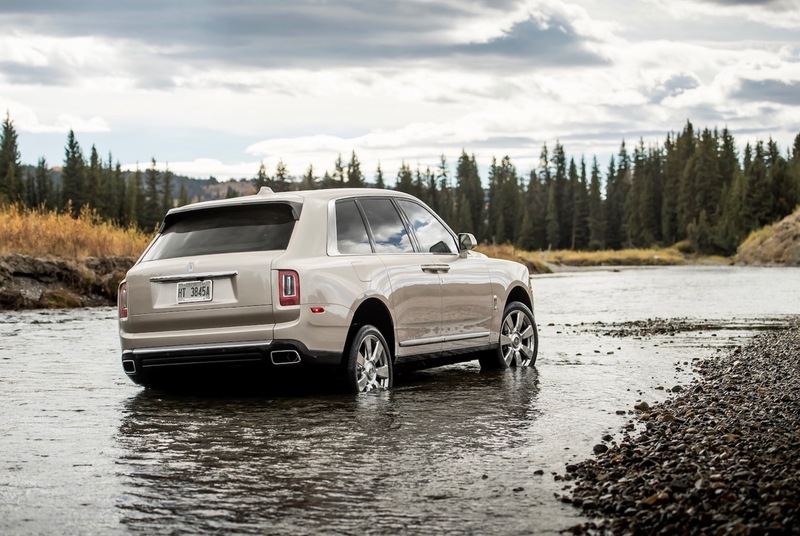 Of course, 99.9 percent of Cullinan buyers will likely never dream of even getting the tires dirty, or risk scratching that mirror-like paintwork taking the road less traveled. But, it seems, they’re prepared to spend big on a vehicle that gives them the absolute peace of mind of knowing they could. And let’s not forget, it can get pretty snowy on the way up the mountain to Aspen, or Gstaad, or St. Moritz. And with the ability to wade through water almost two feet deep, you can take comfort in knowing you’ll get you back to your Longboat Key penthouse when 789 floods in a storm! Yet set aside all this off-roady stuff for a second. What you have with this new Cullinan is a Rolls-Royce without all the pomp and circumstance of the flagship Phantom on which it’s loosely based. Unlike the Phantom, there’s no need for a peak-capped chauffeur here; we’re used to driving whoppers like Cadillac’s Escalade, so the size never feels intimidating. You’d have no problem using the Cullinan as a daily driver. In fact, once you’ve driven it, chances are it will take wild horses to drag you out from behind the wheel. That’s because it drives like a dream. Under the hood sits a reworked version of the Phantom’s twin-turbo 6.75-liter V12 cranking out, with turbine-like smoothness, a whopping 563 horsepower and muscular 627 pound-feet of torque, delivered from just 1,600rpm. Squeezing the throttle is like triggering a nuclear reaction; the rear of this 6,069-pound leviathan dips slightly, Ms. Eleanor perched on the trademark Parthenon grille rises-up a tad, and the Cullinan seems to sigh, then lunge at the horizon. Sixty from rest comes up in five seconds flat, and the acceleration doesn’t cease until electrical nannies call quits at 155 mph. And the silence is otherworldly. 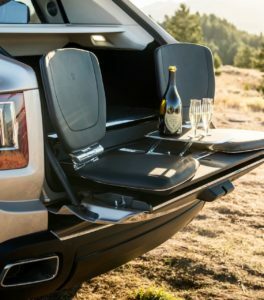 Special foam-filled tires were developed for the Cullinan. There’s 220 pounds of sound-deadening insulation lining the cabin. All the glass is double-glazed. I reckon you’d hear more noise in a bank vault at midnight than you would inside a Cullinan at speed! Criticisms? I still struggle with the boxy, almost cartoonish styling. For me, the roof looks way too high, the waist too low, though what that provides is tremendous visibility for those inside. To me, the SUV style icon is still a long-wheelbase Range Rover. What you have here, however, is truly the Rolls-Royce of SUVs; a vehicle so capable, so luxurious, so exquisitely built, nothing else comes close.